A visit to your nearest ocean can create a sense of comfort and awe on so many levels with the color palettes filled with blues and greens, a fresh coastal breeze, and the classic rhythm of the tide. Now you can bring this same calming and classic mood into your own home. 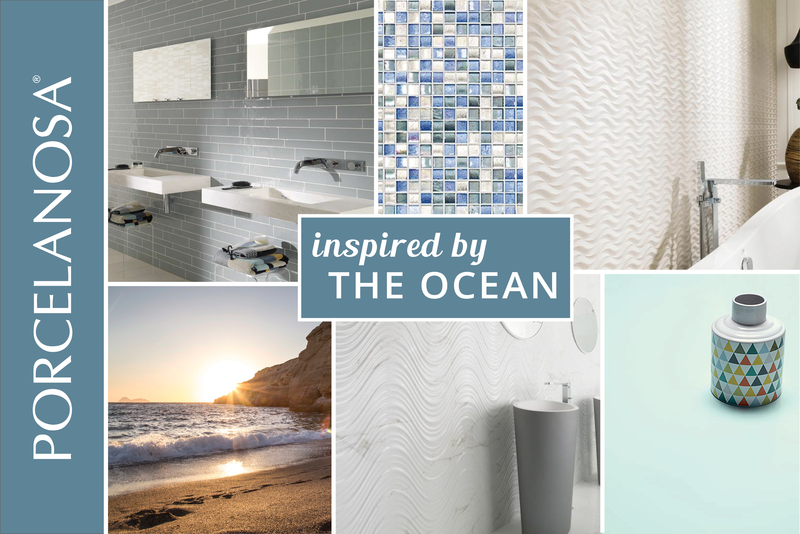 From shades of blue inspired from the water, to wave patterns, there are many ways to create a look that incorporates all of your favorite things about the seaside. The Mediterránea collection is a faithful representation of movement. Its polished and carefully irregular surface simulates colors dissolved in water. 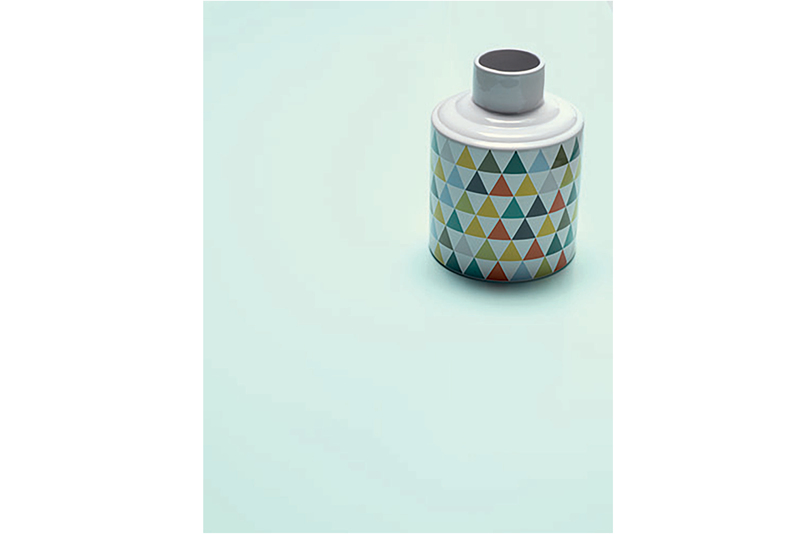 The collection includes DENIA SEAGREEN, available in 2” x 12” tiles. ARABIA MIX BLUE SILVER, a glass mosaic, features an iridescent glimmering in its finish that gives it a distinct and elegant touch. The mosaics are created using recycled transparent glass. 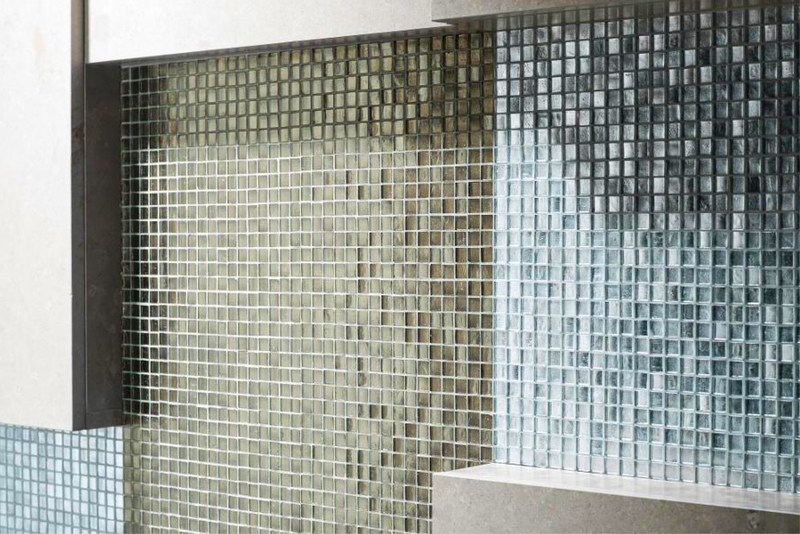 These mosaics can be installed in pretty much any space and use as an indoor or outdoor floor covering. 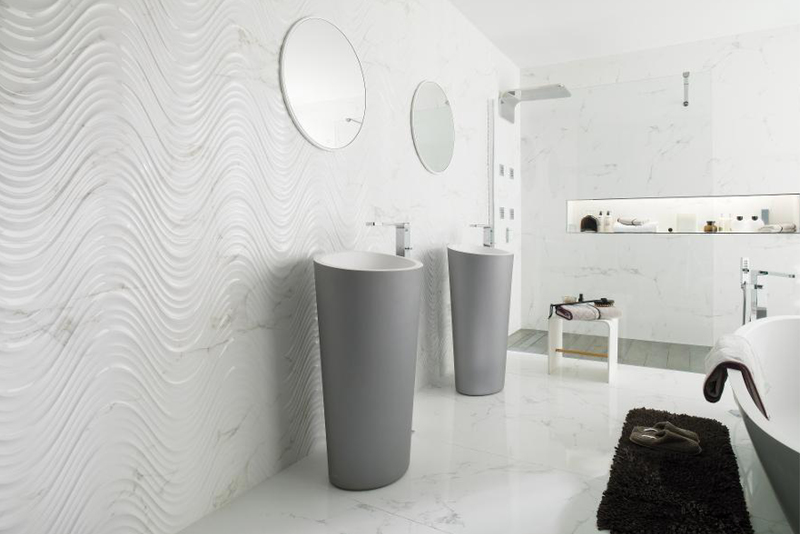 CARRARA CRETA BLANCO, a marble effect gloss wall tile, features a wave effect that mimics the ebb and flow of the ocean. 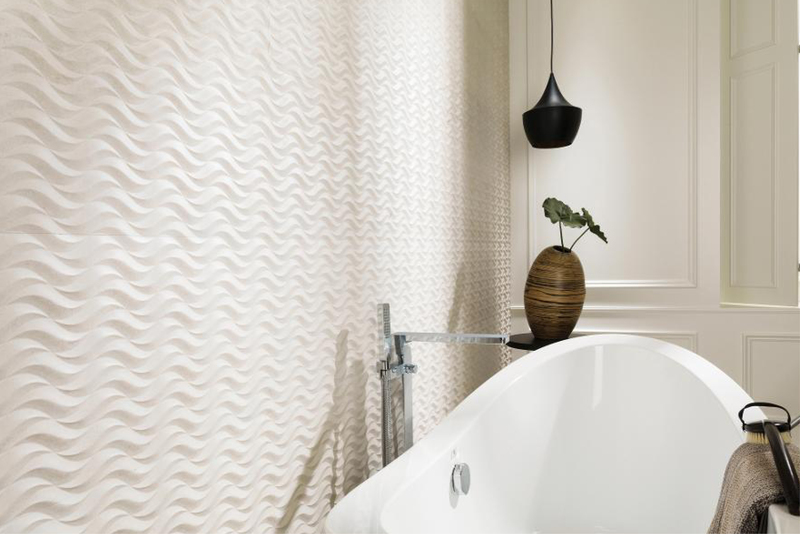 ISLAND NATURAL is a ceramic tile set in an undulating, textured pattern. 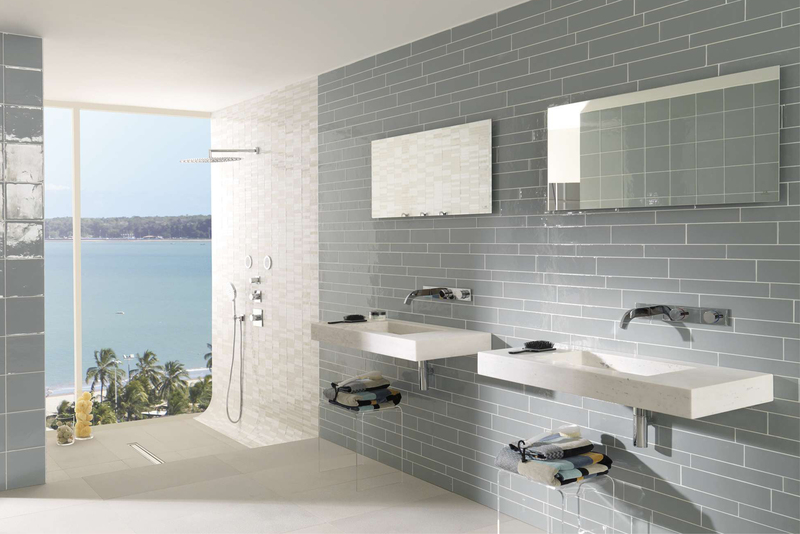 The shade is inspired by the rich natural splendor of the color of sand. SANTORINI BLUE, a new shade in the Krion® Colors series. The KRION® Colors series consists of a range of modern plain colors with excellent consistency and which only requires minimum maintenance. KRION® Colors guarantees all of its properties: antibacterial, repairable, seamless and thermoformable. When curved, KRION® Colors provides excellent results due to its elasticity, without its color being deteriorated in any way.